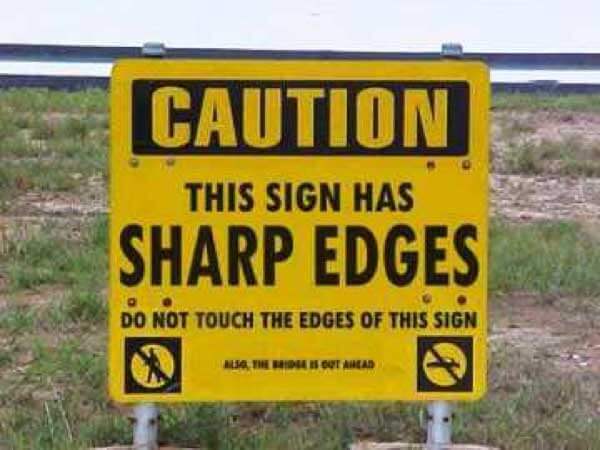 Safety can be a very serious topic but as with all things serious, you have to learn to have a sense of humor to maintain your sanity. The comedic pictures that follow are not to undermine the serious respect I take towards safety, rather shed some light on comical scenarios we all might sometimes find around us. 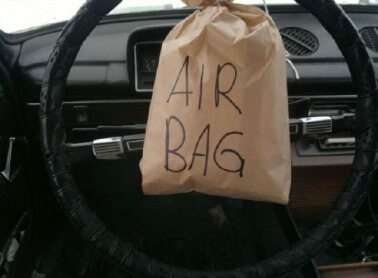 Whoever thought this “Air Bag” was a good idea must have failed miserably in their Physics 101 class! However, if it’s filled with a dozen PB&J’s, there might be sufficient cushion to save you from a 10 MPH collision. Not to mention, save you from starvation if you crash off the side of the road! With so many advances in safety, don’t try to make your own “short-cut” safety rigs. You may think it’ll save you time and effort from doing it the right way or save you from having to make another trip to the tool crib to get the right tools for the job, but if you stop to consider the consequences of making a mistake without proper safety protocol, you’ll realize it’s worth the extra time to track down the right tools! How many of you would trust your life to a string wrapped around a few bottles of soda?! Lets hope not. 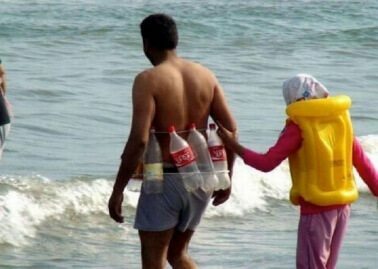 Give the guy bonus points for ingenuity but talk about a lapse in judgement! The small print on this sign says “Also, the bridge is out ahead.” Ha! 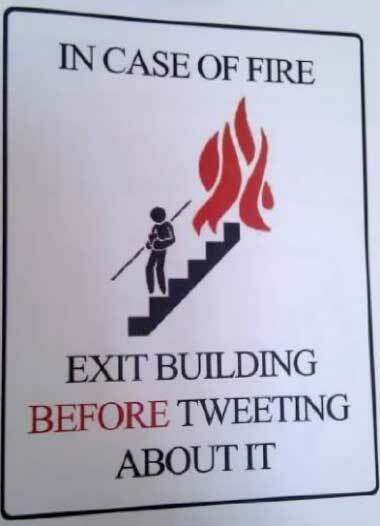 Or how about this sign reminding people that Social Media can wait when danger is eminent! Sometimes we need to be reminded of the consequences of our own actions. 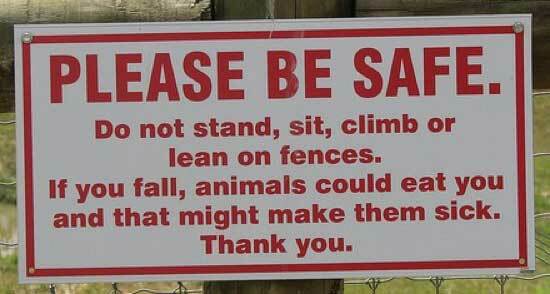 The sign below reminds us that keeping ourselves safe also keeps the animals from having a stomach ache! Makes sense, right? While some of these images are exaggerations of safety violations and some are serious attempts at safety, hopefully they make you think before going to work each day to make sure you DON’T take a short-cut towards safety! Your family, your friends and YOUR FUTURE SELF will thank you! Founded in Utah during 1995, Your Employment Solutions (YES) had a vision to re-create the traditional staffing and employment methods.